It’s dangerous work, but someone has to do it………..
2 on the Beat was downtown Wednesday afternoon when I noticed someone standing in the middle of a very busy street directing traffic – even though the signals were working. I thought that was a little odd. Turns out that Jason Annese is a cadet in the Houston Police Department. He was in the middle of on-the job training, and learning how to direct traffic. He seemed to do a great job: staying focused, directing cars – even while some loud reporter was yelling at him from across the street. Jason and his fellow cadets graduate from the police academy on November 20th. 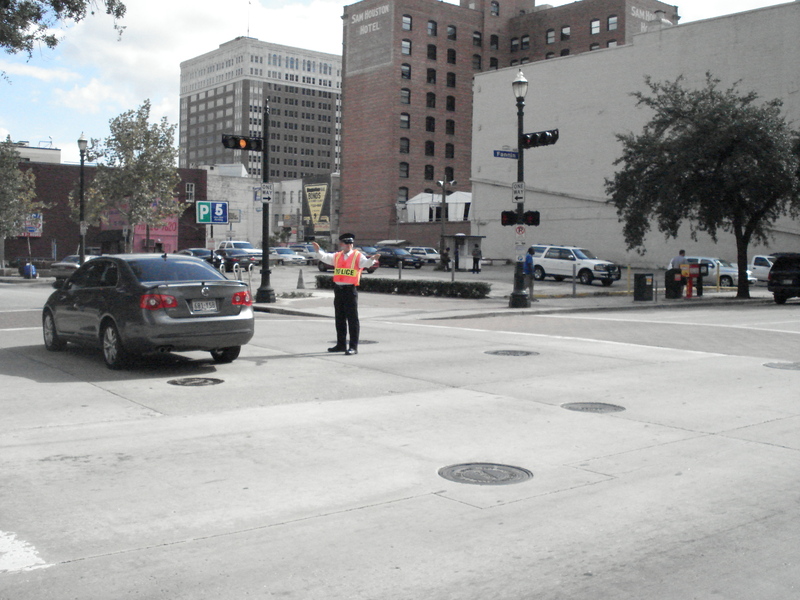 Directing traffic is just one of the many skills cadets have to learn before earning their uniform and badge. So the next time you see a police officer directing traffic, remember to thank him or her for the hard work. 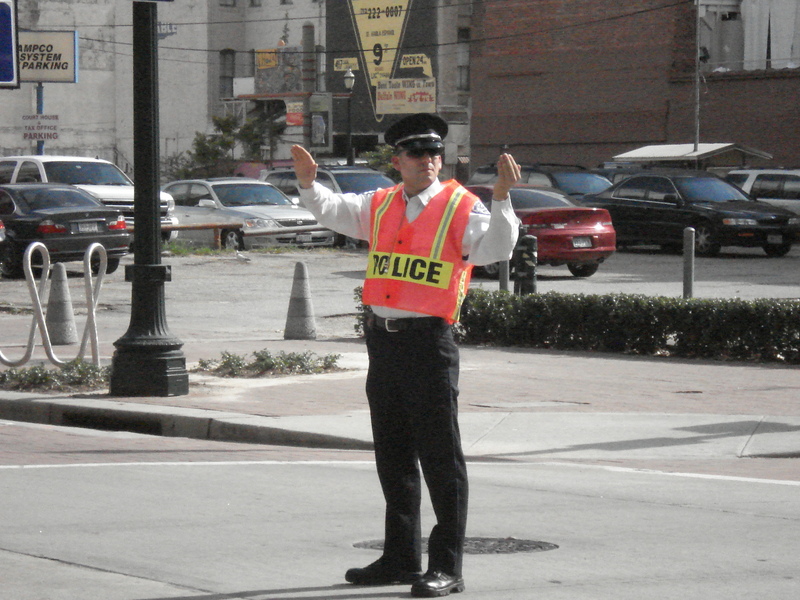 Jason, I hope to see you on the beat one day – while you are directing traffic, but NOT while you are writing tickets!